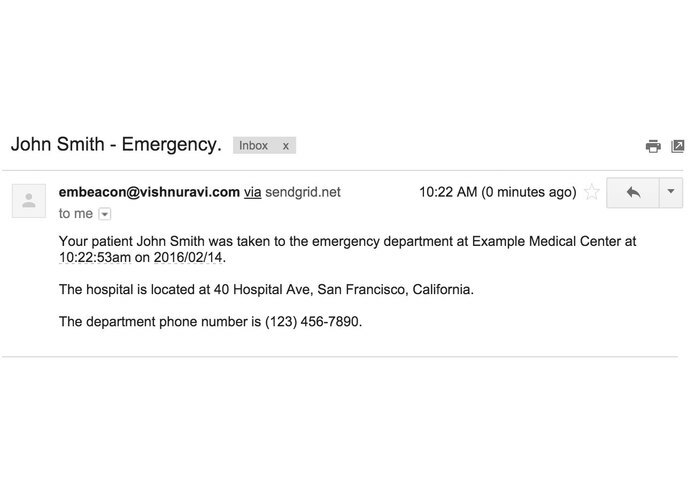 Detects that you were brought to an emergency room and notifies your doctor and loved ones. 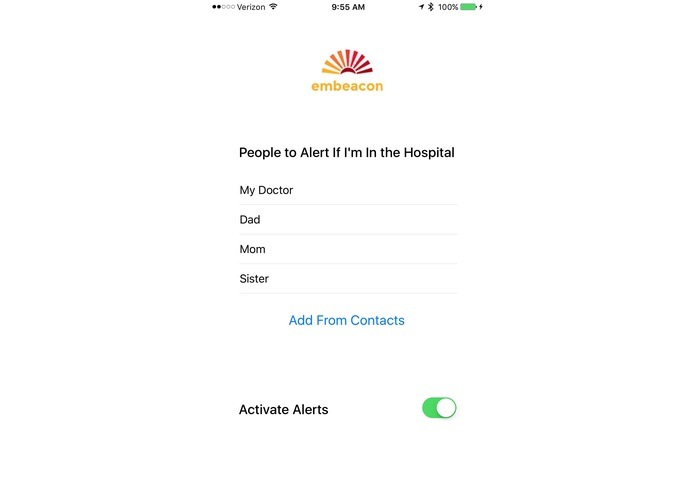 A simple app that detects when you've been brought into an emergency room and immediately alerts anyone you want to know, such as your primary care doctor, or family and friends. It's really helpful in situations where you're brought in in unconscious, confused, or unable to communicate. With this app, you can set your doctor, family or friends to receive a message with the location of the hospital and phone number, so they can get to you and provide important information that the staff will need to take care of you. The app works with cheap bluetooth low energy beacons placed in emergency rooms. When the patient arrives in the ambulance, their iPhone will automatically pick up the beacon's transmission and determine the location of the hospital using Google Maps API, then send email notifications to people they have listed to be notified in the app using SendGrid's iOS API. The app will respond even if it is not open or running in the background.